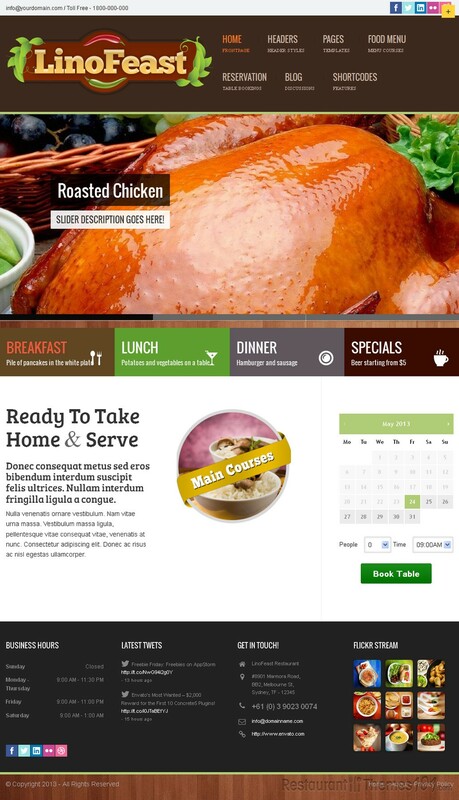 LinoFeast is a responsive restaurant WordPress theme created by System32, and featured at ThemeForest. 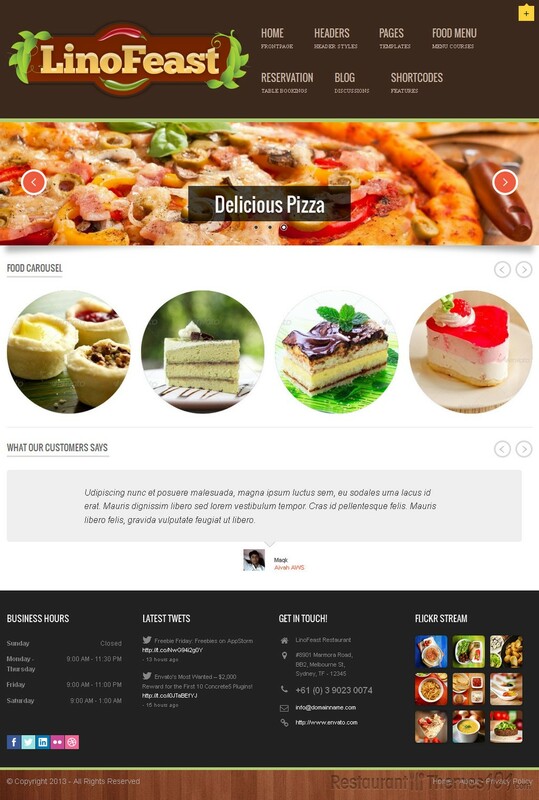 Being a responsive WordPress restaurant theme, this theme makes it possible for your website to look great no matter what device it is viewed from. Your whole website will adapt to any given screen size or resolution so you can be sure it won’t look funky from mobile devices. This theme has a very attractive layout with a huge slider on the homepage. You can add photos of your delicious food to this eye catching slider and have your visitors hooked on this eye candy the minute they enter your website. 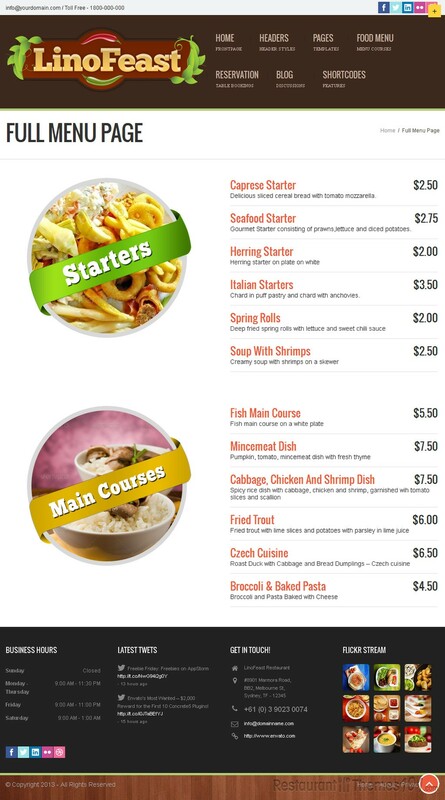 The menu looks super modern and great and it is nicely categorized. LinoFeast offers not one, but several different sliders, including Flex Slider, Elastic Slider and Nivo Slider. Have numerous photos of mouthwatering food rotate all over your website and make your visitors hungry for your delicacies. There is also a custom slider for third party sliders, and Video Stage slider. It supports YouTube and Vimeo as well. You can assign a slider on any page you want! 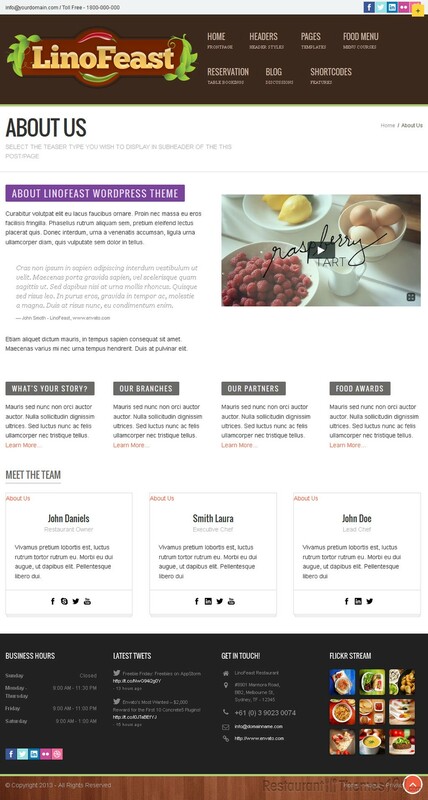 The theme offers 4 header styles, unlimited colors and unlimited sidebars. There is a sticky bar on top and over 500 Google Fonts you can choose from. 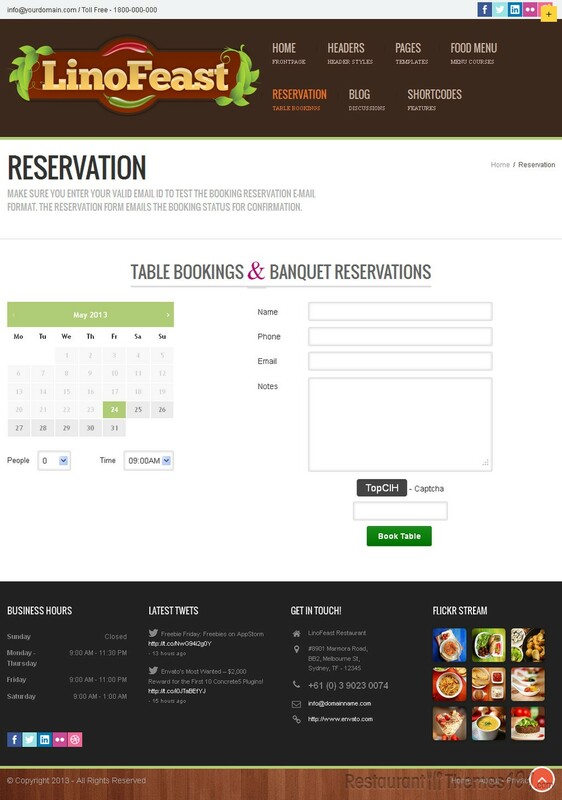 LinoFeast features a great reservation form, as well as a nice contact form, making everything nice and easy for you and your visitors. It also features events, so you can announce any event on your website in several given ways: event custom post type, events list template, event list carousel and events single page. 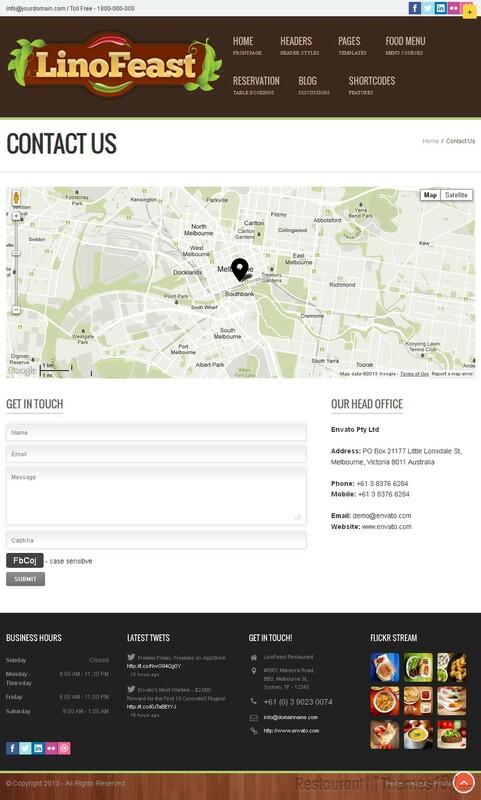 You can also add testimonials from your satisfied customers and have them shown on your homepage for everyone to see. This theme has Google Map with Custom Color Stylers integrated making sure everyone gets the right directions to your restaurant. It has many custom widgets, including Flickr Photos and Twitter Tweets and custom sociables too, with default social icons you can add to your website. It is extremely feature rich, well documented and very easy to run and customize.